From roasting and baking to mashing and pureeing, winter squash is one of the most versatile ingredients—and it's equally comforting in both sweet and savory dishes. 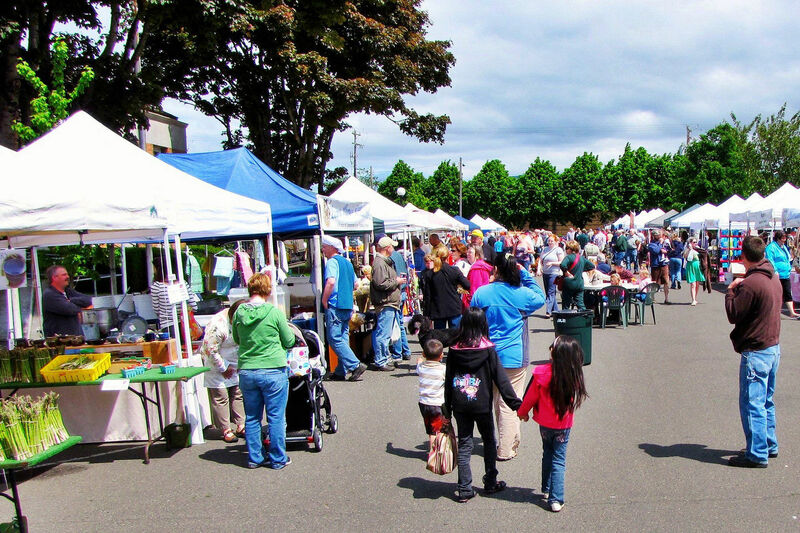 We talked to Chris Hertel of Sun Gold Farm in Forest Grove, a regular at many area farmers markets, to get a detailed tour of the farm's extensive variety of winter squash available through fall and winter. Which are your favorites? Black Acorn: One of the easiest to grow and most plentiful, the Black Acorn squash is commonly known and easy to prepare. But according to Hertel, it’s not the best variety to go for if it’s your first time sampling squash. “Usually, people will turn their nose up to squash in general because this variety was all they’ve had and it’s what they grew up eating,” he explains. Black Futsu: A rare and unique variety that is native to Japan, the Black Futsu comes in an interesting hue of charcoal, brown, greenish-blue, and sometimes purple. 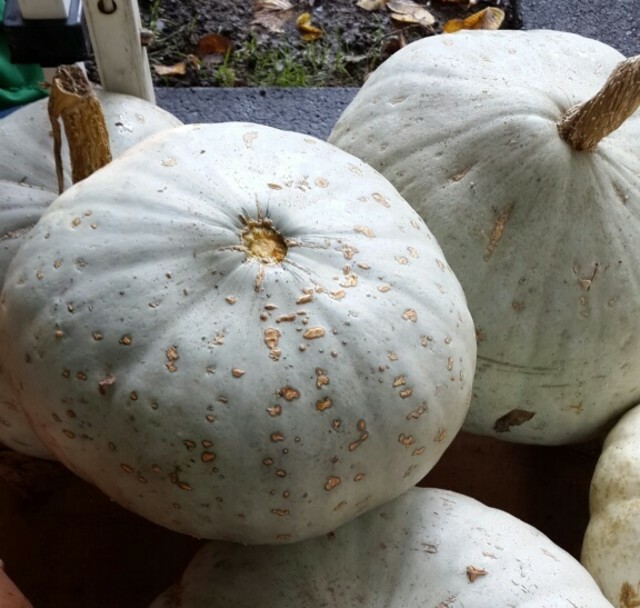 Blue Hubbard: A popular New England squash with thick rind, the Blue Hubbard can be stored in the basement or cellar for three to four months. “You can gradually take chunks off to roast along with chicken or turkey every now and then. It’s not as dry as others and is full of flavor. You can carve it, or take the flesh out and use it as a bowl,” Hertel says. How it looks: Huge, unusual, sometimes teardrop-shaped. Hard, inedible dusky blue-gray shell with a deep orange, fine-grained flesh. 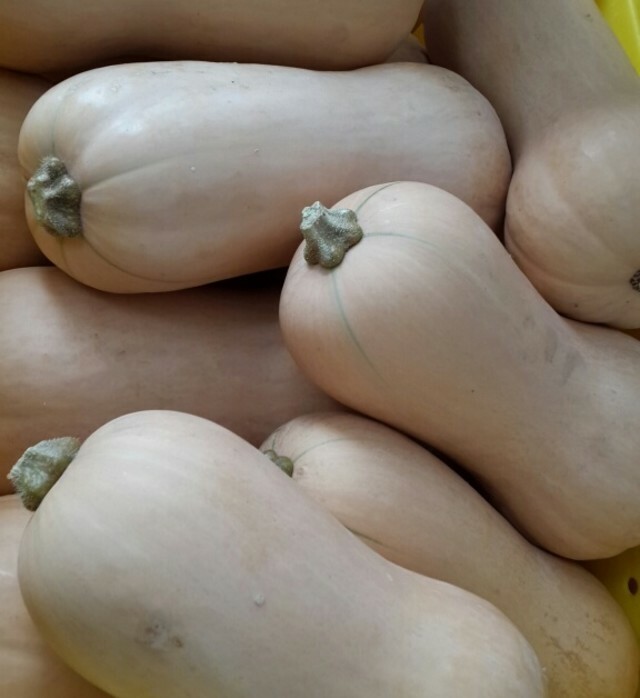 Butternut: This classic variety can be used in various ways, from roasting and toasting to baking and grilling. Butternut squash has high amounts of antioxidants and fiber, making it an excellent low-calorie substitute for potato. 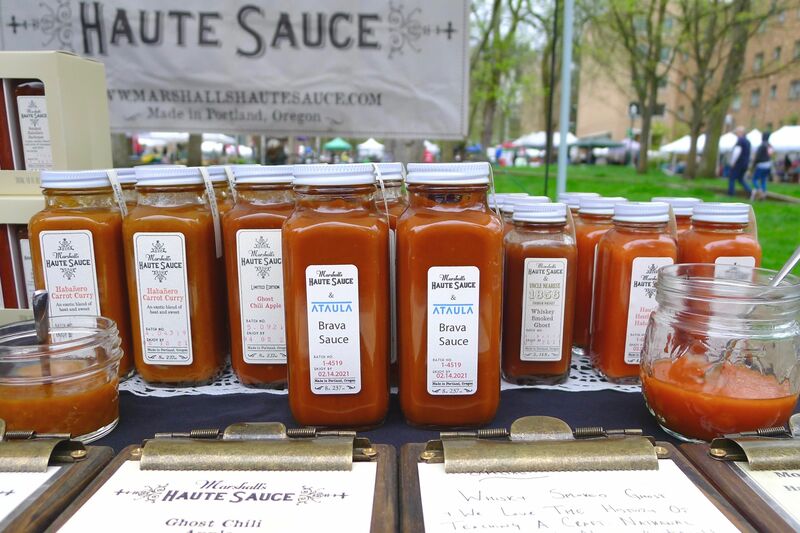 Like Hertel says, “Everybody loves butternut squash for a reason.” Find out how to make John Gorham's harissa-stewed butternut squash soup here. How it looks: Bulbous shape. 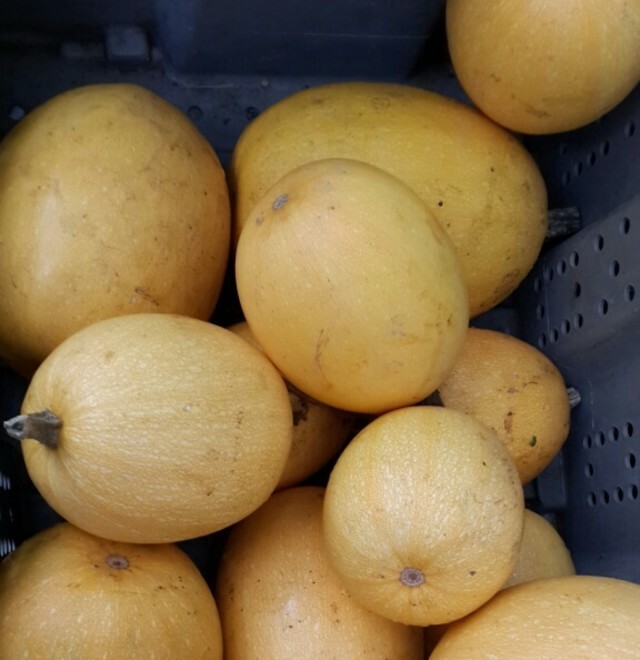 Yellow skin that turns deep orange when ripe, orange-yellow fleshy pulp. Small seed cavity. How it tastes: Nutty and sweet, offers a creamy, consistent flavor. Unlike many varieties, the seeds and skin are edible raw. 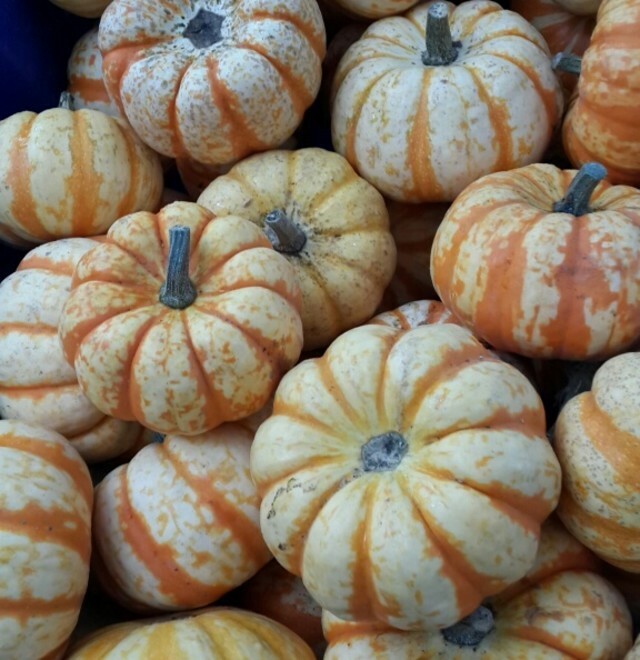 Carnival: A hybrid of the Acorn and Sweet Dumpling variety, the Carnival’s flesh is similar to sweet potato and butternut squash, making it a perfect substitute for recipes that call for butternut squash. Its multihued shell is ideal for decorative purposes, and its deep cavity makes for a great stuffing vessel with vegetables or meat. How it looks: Deeply-indented top with striped, multicolored patterns of orange and green on the outside. Pale orange, somewhat stringy flesh with a large seed cavity. How it tastes: Dry, firm texture. Mildly sweet, buttery and nutty flavor that is enhanced once cooked. 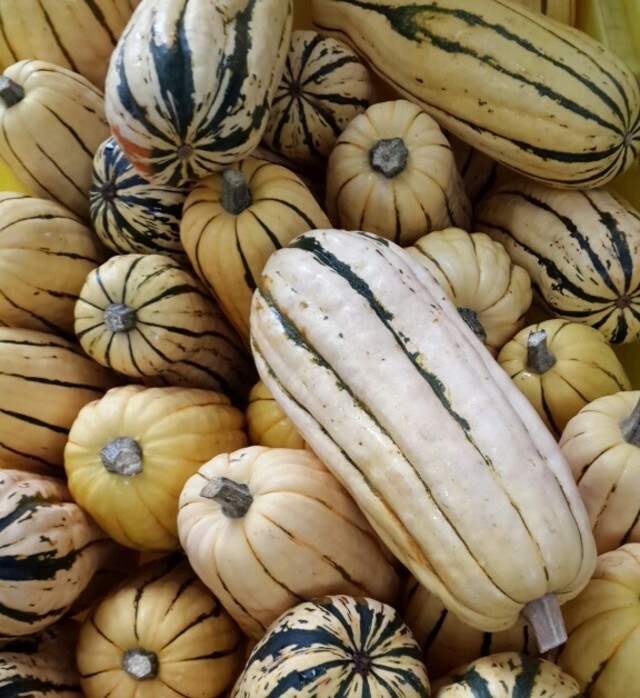 Delicata: Also known as the sweet potato squash, the Delicata has a thin outer skin that is edible—simply roasting it for 20 minutes makes it a quick and easy side dish. Another way to perk the flavors of this sweet variety: “I usually add onion and bacon in,” Hertel says. “Roasting it will caramelize the edges, so it’s sweet and savory at the same time.” Its thin skin also indicates that it does not store well over a long period. How it looks: Thin oblong shape, pale yellow skin with green striped ridges, yellow flesh. How it tastes: Sweet, nutty flavor similar to corn and sweet potato, with a creamy, smooth texture. 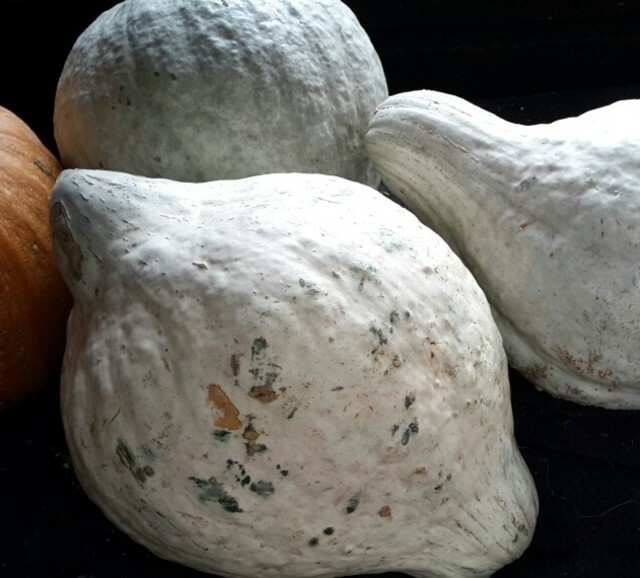 Flat White Boer Ford: Named after the original Dutch settlers in South Africa, this heirloom squash is often used for decorative purposes, thanks to its unusual shape and color. 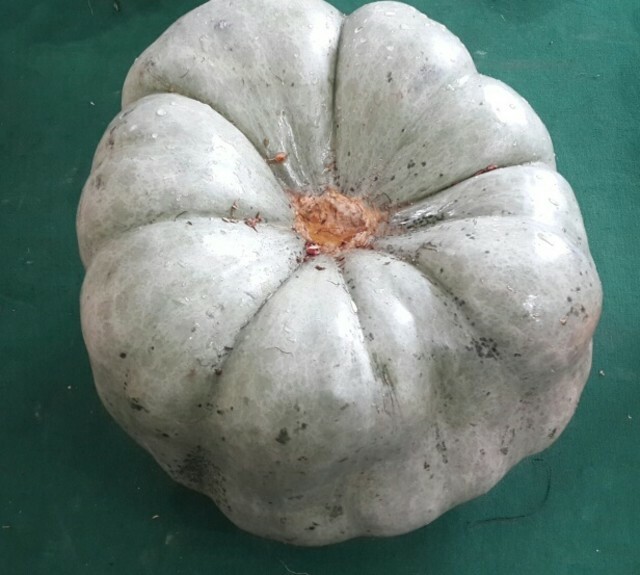 Its brittle shell makes it easier to open than other squash varieties, plus it has an incredibly long storage period. How it looks: Flat and squat shape. Brittle, creamy white colored outer shell with deep orange flesh. The white outer skin does not change or yellow over time. How it looks: Both are cylindrical in shape. The blue variety has a slate-blue outer skin, with golden yellow flesh. The pink variety can weigh up to 50 lbs and has a dull deep pink skin with yellow-orange flesh. 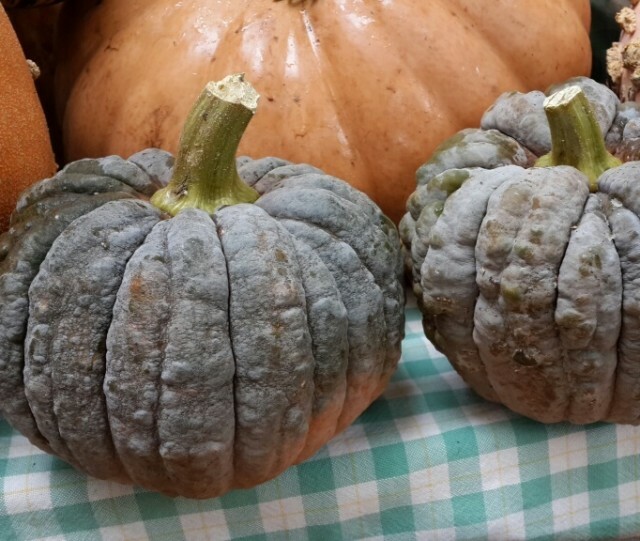 How it tastes: Blue Banana squash has a sweet, firm and thick texture. Pink Banana squash is not stringy, mildly dry, and very sweet. 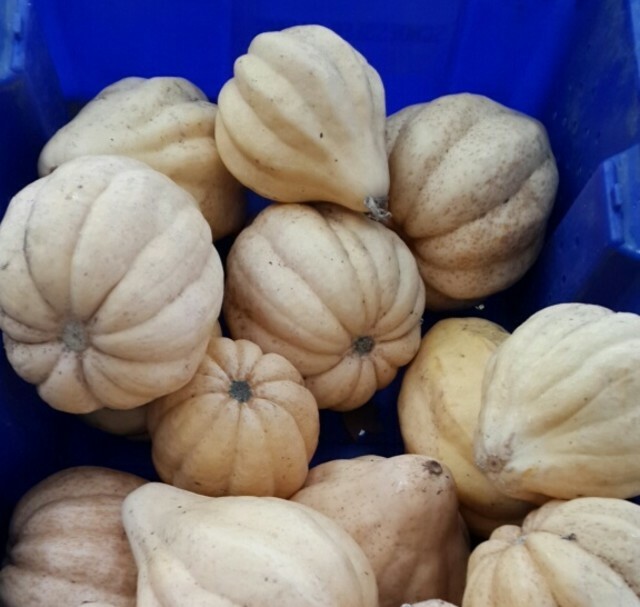 Heart of Gold: This fairly new variety is also a hybrid of the Sweet Dumpling and Acorn and resembles the Carnival squash. Bred to grow easily and resist diseases, the Heart of Gold has a distinct acorn-like shape and does not have stringy flesh or orange spots, which sets it apart from the Carnival. Jarrahdale: “The Jarrahdale looks like a cross between the Blue Hubbard and a Cinderella pumpkin,” Hertel says. 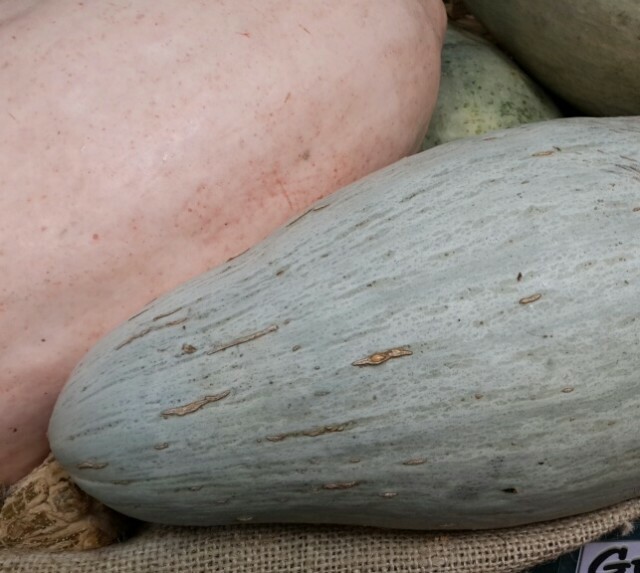 This uncommon colored squash is named after a town in New Zealand and is also popular in Australia. The Jarrahdale has a long storage period as well. How it tastes: Moist, thick, sweet and somewhat fruity flavor. 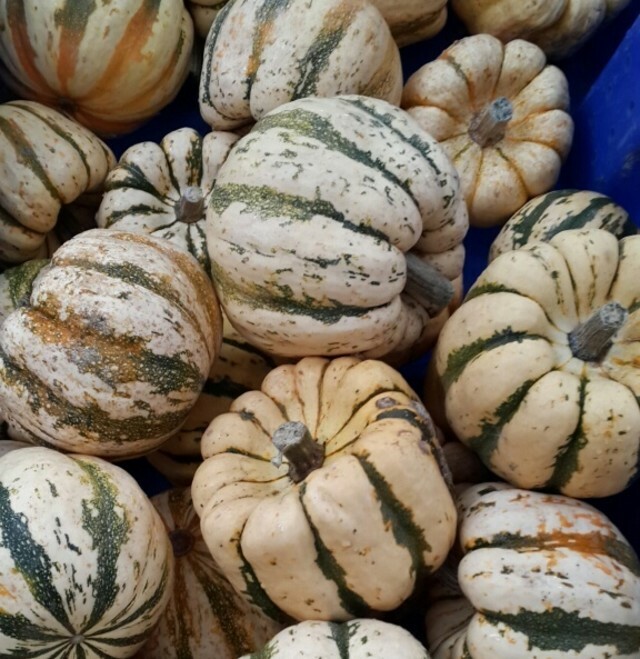 Jester: This variety hails from the Acorn family and is almost the same size as the Carnival squash. 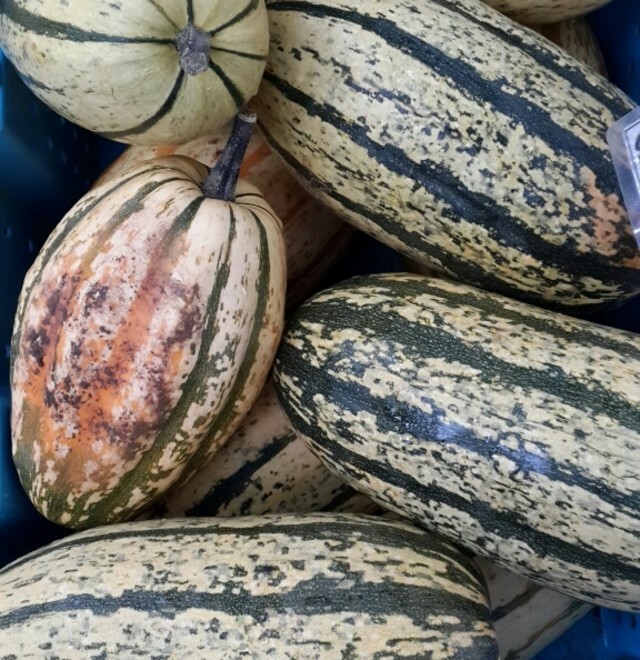 It is best eaten two months after harvesting (like the Delicata) and does not have a long storage period. 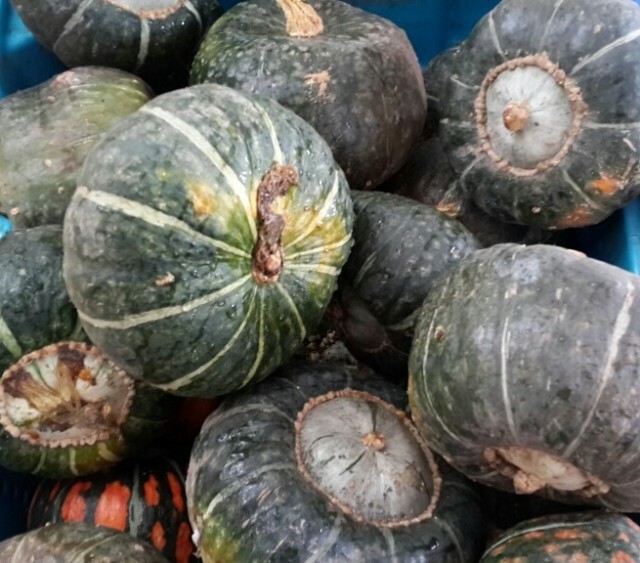 Kabocha: An Asian variety of winter squash, this classic is also known as the Japanese pumpkin. It is sweeter than butternut squash and stocked with beta-carotene and other nutrients, making it a popular seasonal choice for soups, baking, and even in curries. 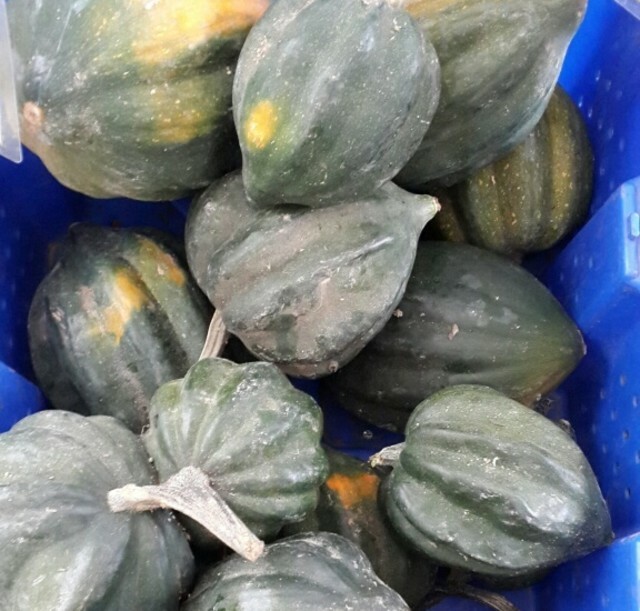 Kakai: Probably the only squash grown for its seeds, there are varieties of Kakai that come from different heirlooms such as the Austrian and the Japanese (smaller in size). “Its hull-less seeds can be roasted and are full of nutritional oil that contains proteins and fatty acids,” Hertel says. Toasted Kakai seeds also make popular snacks, and can be served raw as a crunchy topping on soups and salads. How it tastes: The flesh does not have a flavorful or strong taste, but is edible. The seeds are creamy and sweet in flavor. 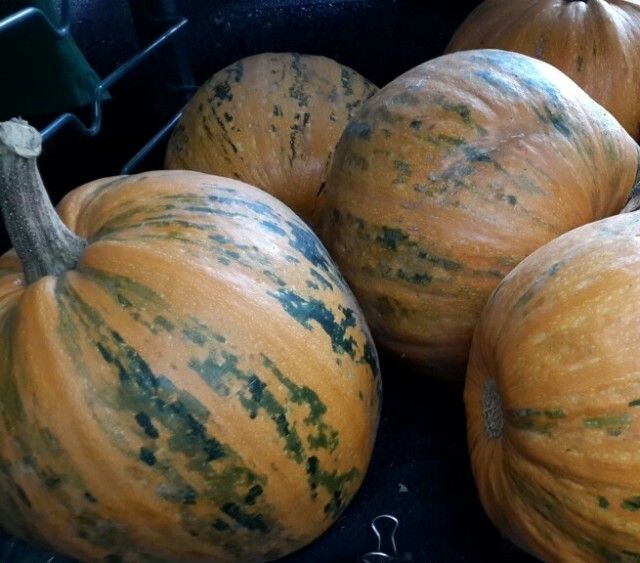 La Estrella: This variety was developed and bred by Don Maynard, a University of Florida researcher and professor, who wanted to breed a specialty tropical pumpkin that tasted better than it looks. 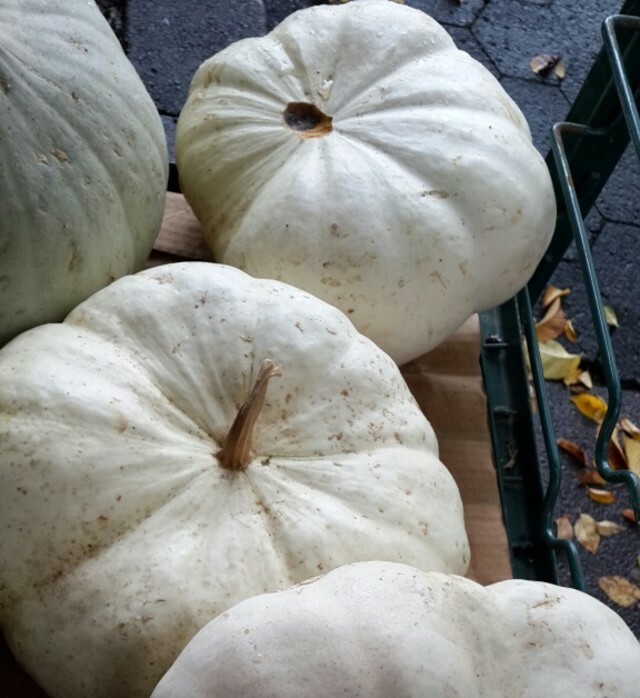 La Estrella was bred from one of the many tropical calabaza hybrid squash that is native to Central America. 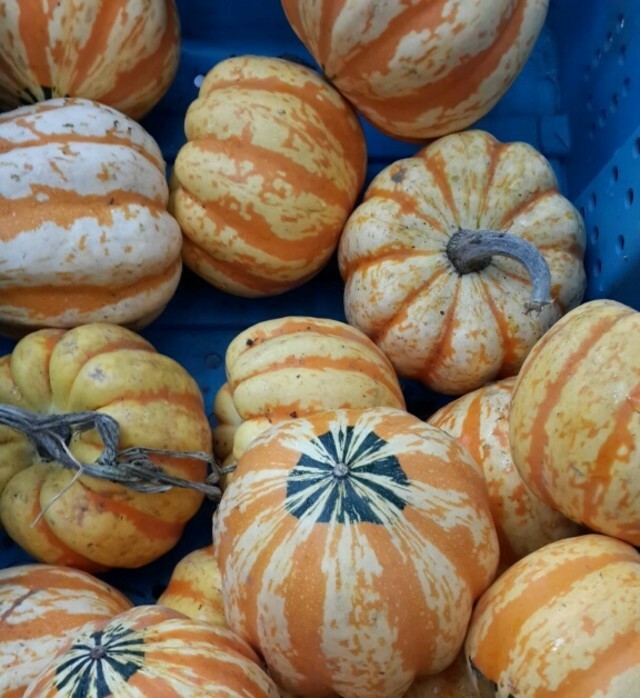 How it looks: Round in shape, waxy-looking, dull orange/tan skin with mottled gray-green stripes, smooth exterior. Long Island Cheese: As per its name, this Long Island native heirloom resembles an artisan cheese wheel and was a favorite in the 1800s to use in pies or for decorating. 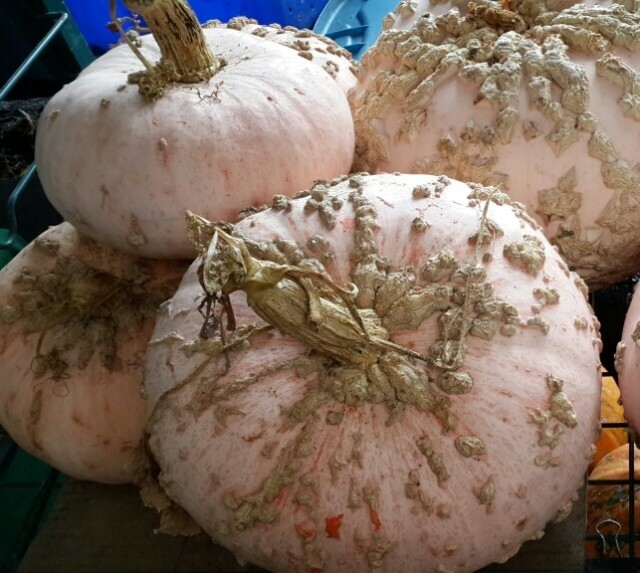 It is also known as Fairytale pumpkin and Tuscan pumpkin. 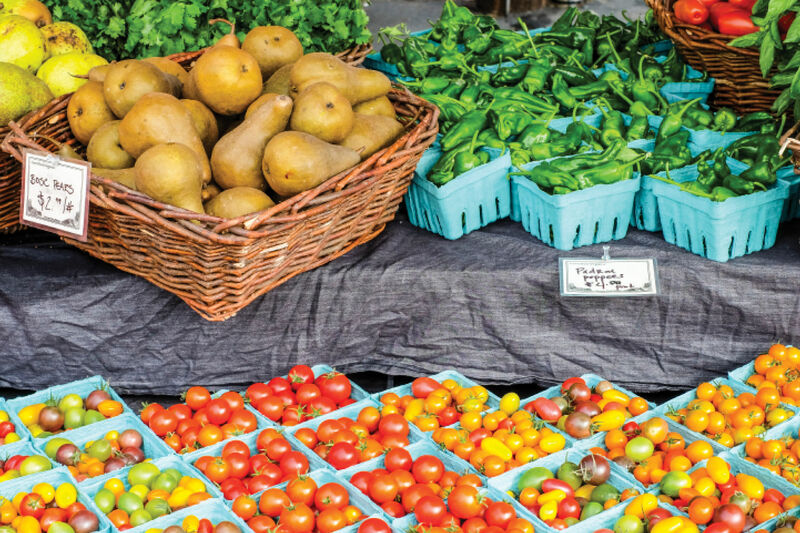 Small Wonder Spaghetti: “This is the perfect single serving spaghetti squash,” Hertel says. The Small Wonder is a hybrid to its larger sized cousin—Spaghetti squash—and works well as an alternative to gluten-free pasta. How it looks: Light orange, oval shape with a bright yellow stringy, strand-like flesh. The exterior skin color doesn’t affect the ripeness or taste. 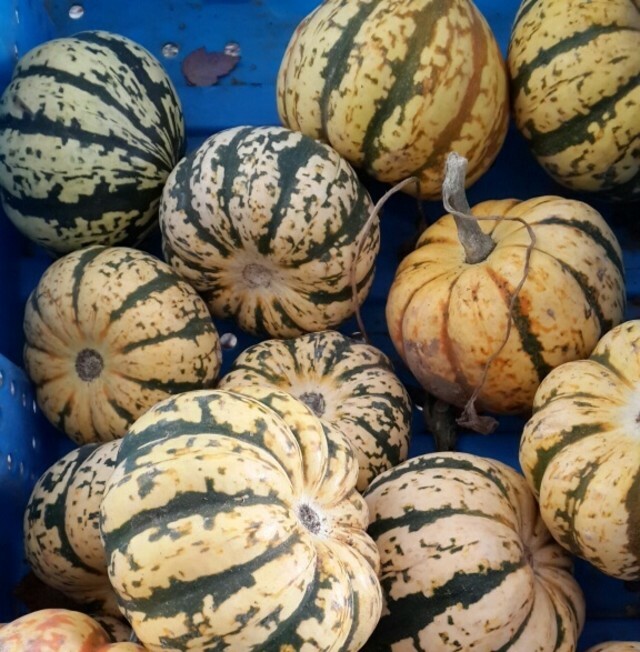 Stripetti Spaghetti: A hybrid cross between the Delicata and Spaghetti squash, the Stripetti also resembles a lengthier watermelon. The beige exterior becomes orange once it’s ripened. How it tastes: Nutty, mild flavor like potato. When cooked, the sweetness resembles a sweet potato. 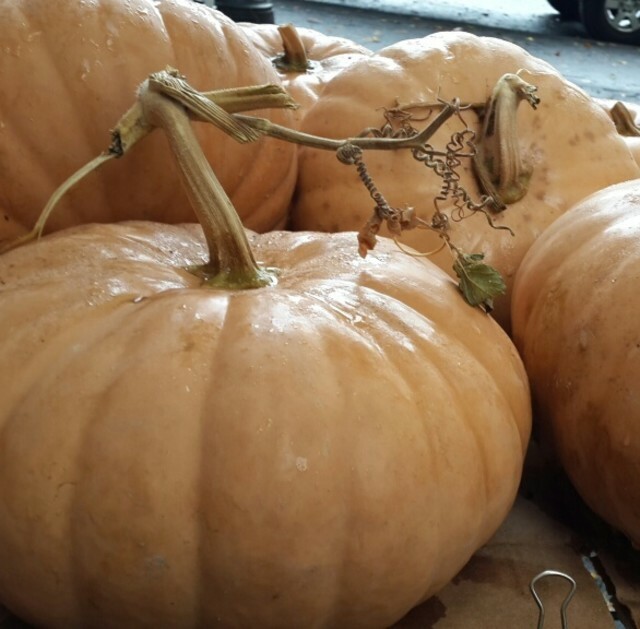 Sugar Pie Pumpkin: “Don’t take a carving pumpkin and make a pie out of it,” Hertel says. Wise words for all beginner pumpkin pie makers. Like its namesake, this variety is sweeter, dryer, and has more flesh than a carving pumpkin, making it the optimum choice for baking sweet treats. 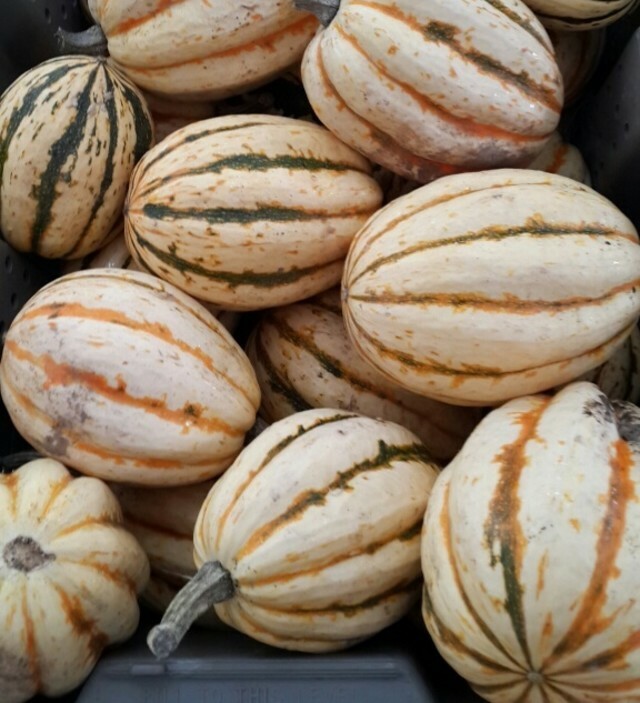 Sweet Dumpling: This fun-sized Acorn variety is only four to five inches in diameter, making it an ideal single-serving squash. How it looks: Cream or yellow with green stripes on the exterior, pale yellow flesh and a deeply indented stem. Sweet Lightning: “During Thanksgiving, people like to cut the top off, stuff it with brown sugar and oatmeal and bake it for dessert,” Hertel says. Its name is derived from its fast cooking time, and it is also widely used as decorative ornaments, thanks to its 3-by-5 inch size. Sweet Meat: Well-known in the Pacific Northwest, the Sweet Meat is a favorite for baking desserts and can last up to six months in storage. Its shape is a lot like the Long Island Cheese and varies between 5 to 20lbs. Thelma Sanders: “Whoever Thelma was, she was an amazing lady!” Hertel says. 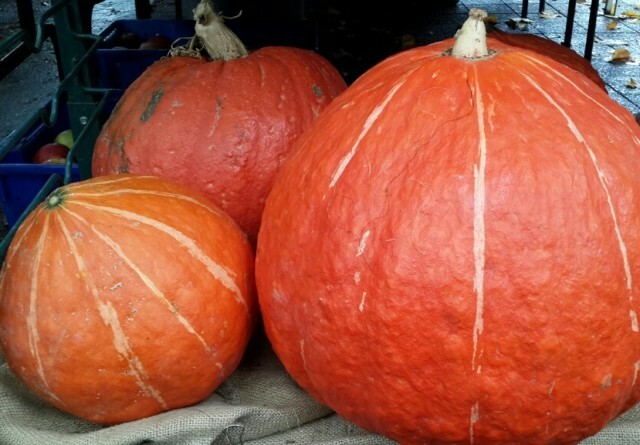 “The texture of this variety is a lot like sweet potato squash. 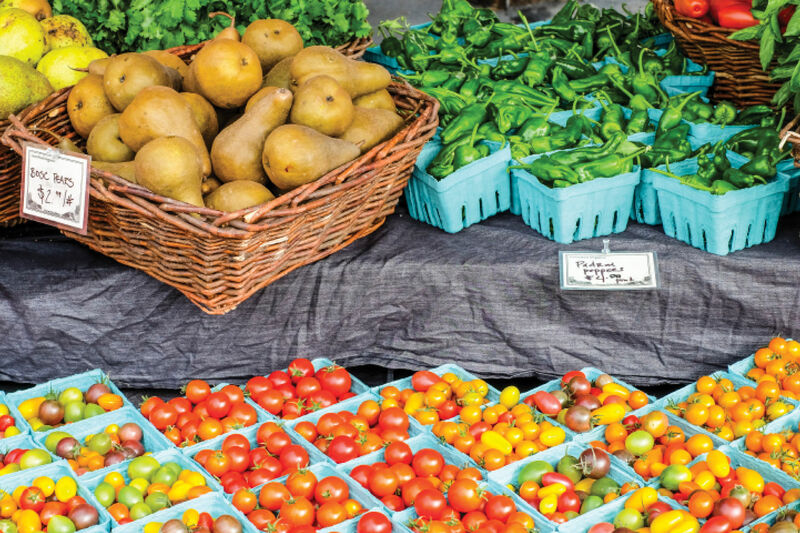 You can cut it up into wedges and make great sweet potato fries out of it.” This Missouri heirloom turns lightly golden when ripe and is actually grown in the summer, but its ripening period takes longer than other varieties. 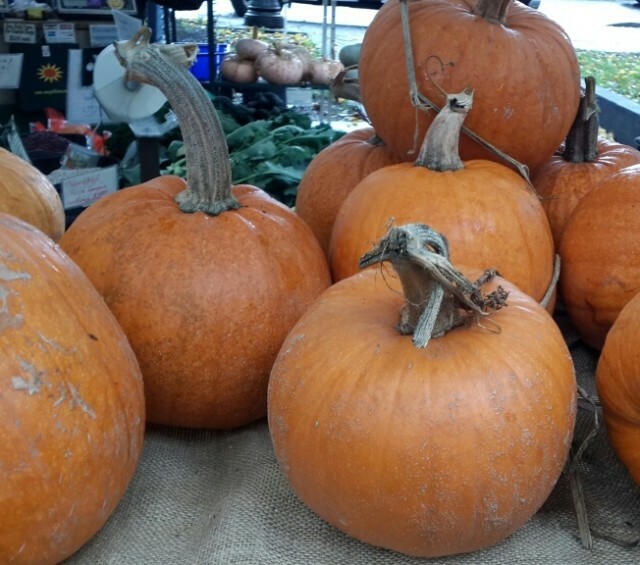 *The best way to store winter squash? In a cool and dry place away from light. 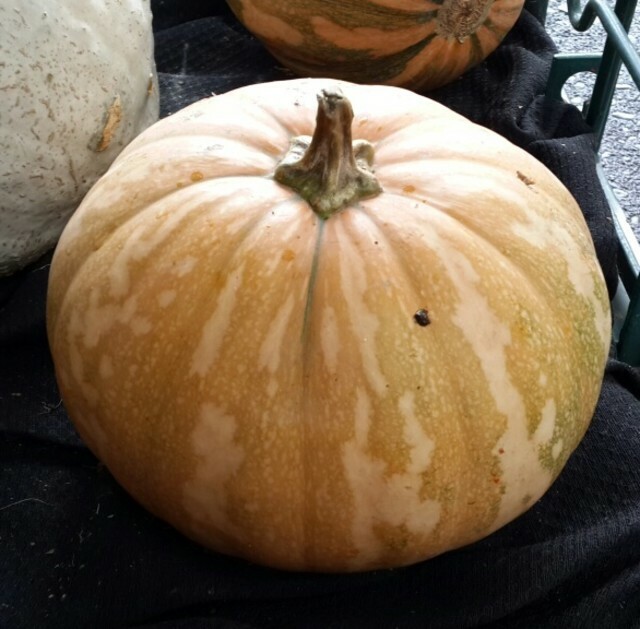 Squash varieties with thicker exterior shells can last for three to four months.